This just in! Dead reunion show for Obama! 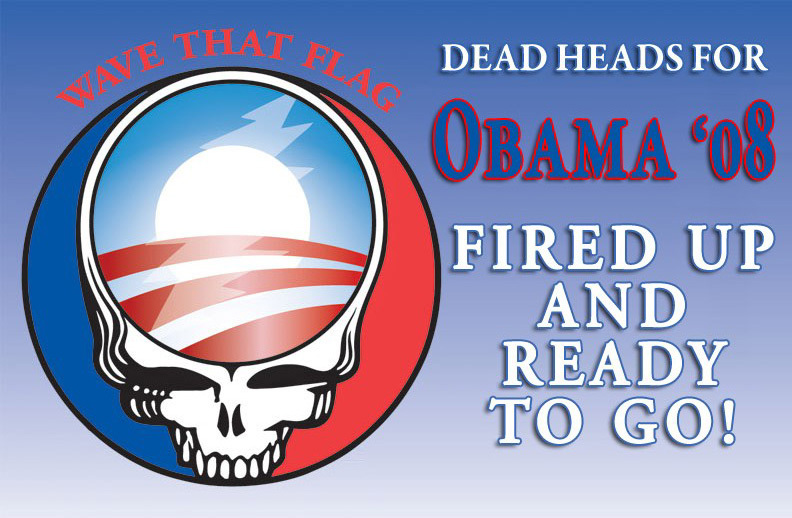 Not just a rumor anymore, y'all, the Grateful Dead are reuniting for one night to raise money for the Obama campaign. This monday at the Warfield Theatre in San Francisco, all the surviving Dead, minus Bill Kreutzman, are playing for Obama, tix are a mere $35. Oh to be on the left coast right about now. Mickey, Phil, and Bob, onstage together, sweet. Don't believe me, believe Reuters.